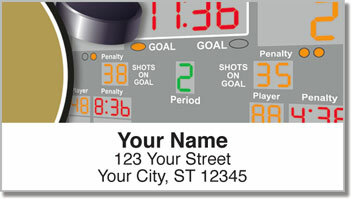 Hockey is a hard-hitting sport that combines agility on a quarter-inch blade as well as a lot of guts and grit. 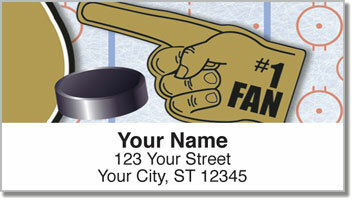 The same toughness found on the ice can be found within fans cheering from the stands. 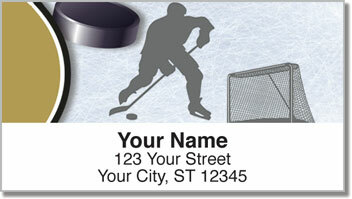 Now you can show your support for your favorite team on every piece of mail when you use these return address labels designed for lovers of ice hockey. It's a fun finishing touch that will also make your life a little easier. Because these are self-adhesive labels, preparing letters and packages is simple. Just peel and place them on anything you put in the mailbox. Now that's what we call a power play! 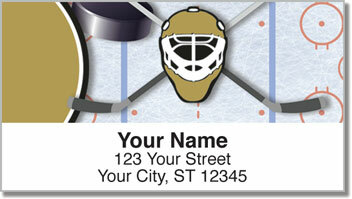 Get your own Black & Gold Hockey Address Labels right now! Order them with a set of matching personal checks.